Many investors do extensive research to figure out the best way to increase the returns on their mutual fund portfolios. When attempting to reach the desired outcome, investors must strike a precarious balance between maximizing performance and not taking on excessive market risk. One often used strategy to mutual fund investing is timing the market. But there is no way to predict the perfect time to buy and sell. Though your funds may lose their value in a down market, they won’t lose their cost-basis. Plus, fear often holds us back from buying as the market declines, and overconfidence can cause us to hold on to a mutual fund for too long during an increasing market. There will always be bear markets and even the best stocks can lose significant value. Many investors live by the buy low-sell high motto but timing the market can increase your costs in the form of transaction fees and taxes if you realize gains. Plus, the cost of trading mutual funds is more than the cost of trading other EFTs or equities. 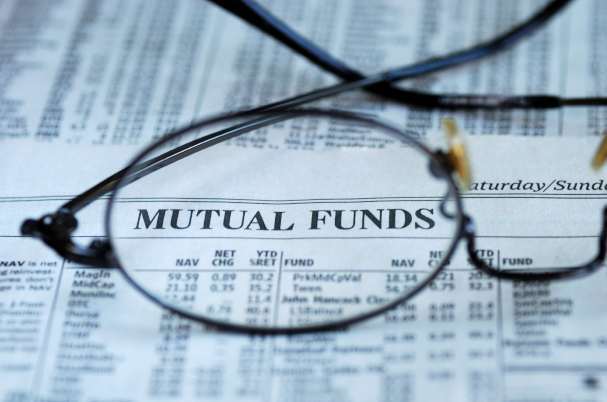 There are better considerations for investing in mutual funds than relying on timing the market alone. One way is to understand the role your emotional intelligence plays in identifying what level of risk you are comfortable with in ALL market conditions. These people are often more concerned about avoiding loss than they are about the possibility of gains. Listening to that inner-self helps them avoid reacting for the sake of a crisis but settling for less return to avoid a loss can hinder their investment growth. Mitigators. These investors are more likely to take risks after thoroughly investigating them. Though they generally have diversified portfolios, they tend to get overly nervous and hold themselves back because of market fluctuations. Managers. These investors are inclined toward a high level of confidence and view themselves as savvy. As a consequence, they run the risk of letting that confidence blindsight them. Seekers. For some investors, thrill-seeking and excitement are catalysts for taking chances. Your approach to investing can impact the health of your portfolio. The good news is that you can improve your outcomes by remaining aware of how these risk approaches can affect your ability to strike a balance between maximizing mutual fund performance and reducing risk. Beyond analyzing emotional triggers, applying tests to mutual fund managers can help investors see beyond the singular buy low-sell high strategy. Understanding the peer category a fund falls in. Lipper, for example, has 155 classifications or categories such as Large-Cap Value, Alternative Long/Short, etc. Determine if the fund is classified correctly, what it really owns and if it’s in conflict with the name (an XYZ Growth fund that owns all dividend paying value stocks for instance). Calculating Annualized Percent Return (APR). This so-called “geometric return” is an abstract number, since actual returns vary year to year, but annualizing can help when comparing fund performance versus peers. This percent reflects reinvestment of dividends and capital gain distributions, while deducting for fund expenses and fees. And it excludes any sales loads. Reviewing Maximum Drawdown (MAXDD). This can be a frightening step but understanding just how far a fund has fallen under past stresses, and how long the recovery took, can speak to the manager’s performance under pressure. Screening for high standard deviation. This is a measure of fund volatility – the higher the standard deviation the more its return has varied over periods of time. When comparing two managers in the same peer category, with similar returns but large differences in standard deviation, it can help answer how smooth the ride was to the same destination. The Sharpe Ratio. This measures risk adjusted return, or in other words, is a ratio that helps us understand if the fund is getting returns commensurate with the risk taken. The calculation uses annualized excess return divided by standard deviation, where “excess return” is any amount above risk-free investment, typically 90-day T-Bills. Look for funds that consistently rank in the top 25 percent of its peer group. The Martin Ratio. Similar to the Sharpe ratio, this measures excess return relative to its typical drawdown. This can really help avoid high flying dot-com managers and narrow in on managers that deliver superior returns while mitigating downside losses. Again, look for funds that consistently rank in the top 25 percent of its peer group. By comparing multiple managers in the same asset category over a similar time period, the process can help you really home in on the quality funds that have shown consistent performance characteristics. If you are invested in something too risky to begin with, a good practice is to simply de-risk a bit by adding more diversity with fixed income, dividend paying blue chip stocks, etc. As you get more comfortable with the current economy and market, you can re-engage with more risk. This keeps you focused on the long-term, because exiting completely when sensing a bull market is rarely a good strategy. Your trusted financial advisor is available for much more than investment advice, they can provide you with a holistic approach that helps you identify your emotional intelligence and assess if you are viewing your risks appropriately. For more information, see: Six Cognitive Biases That Can Derail Your Portfolio.